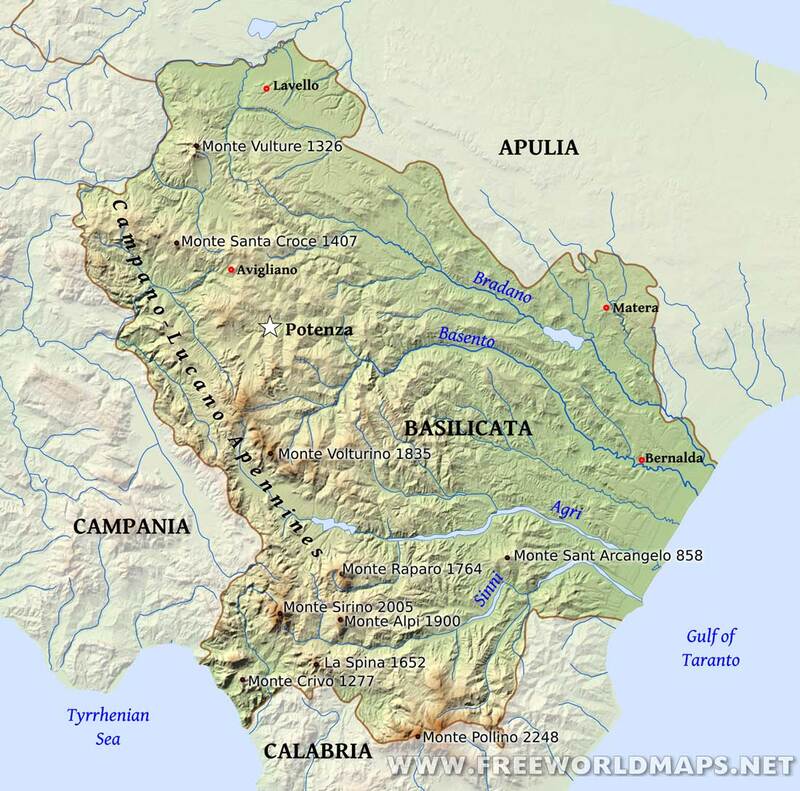 More than any other of the regions of the Italian South, Basilicata represents the quintessence of the mezzogiorno. Culturally impoverished, underdeveloped and – owing to emigration – sparsely populated, Basilicata was long considered only good for taxation, and even then it was mismanaged. Although agriculture was systematized to an extent when these land formed a part of Magna Graecia, by the time the Normans arrived there was little infrastructure or defence against the depredations of maritime raiders. Moreover, the feudal era didn’t really die here until the Bourbons were ejected at Unification, and remnants of the older society persist in the widespread system of patronage and an exaggerated use of titles. Respect for authority co-exists with a deep scepticism and an apathy and inertia vividly described by Carlo Levi in his Christ Stopped at Eboli – a book that for many Italians was the introduction to the very deep problems besetting the mezzogiorno. Indeed, this area is if anything even more marginalized than it was before Unification, when it was at least the geographical centre of the Bourbon state, and today talk of the Two Nations of Italy is most strikingly manifest in what can seem a very distant region from the emphatically European north – to which its people provide a reluctant supply of cheap labour. In Basilicata, Potenza is useful as a transport hub for the string of medieval towns lying to the north, although the town holds none of the fascination of the region’s second city, Matera, whose distinctive sassi – cavelike dwellings in the heart of the town – give it a uniquely dramatic setting. Of the coasts, it’s the Tyrrhenian that is most engaging, with spots like Maratea, Tropea and Scilla favourite hideaway resorts for discerning Italian and foreign visitors. The Ionian coast, on the other hand, can be bleak and is visited mainly for its ancient sites – relics of the once mighty states that comprised the Greek colonies known as Magna Graecia.